The company offers a choice of propulsion alternatives, such as inboard water-jets and outboards fitted as two-stroke, four-stroke or diesel. Explorer NZ’s real point of difference lies in its range of inflatables smaller than 4.3m and fitted with water-jet propulsion systems – marinised engines matched with water-jet drive units that the company designs and builds. The best example of this is the 195kg, 2.9m water-jet that can pull a skier out of the water and cruise at 30+ knots. Explorer offers in-house designed hulls and tubes, with hulls available in either composite or alloy. 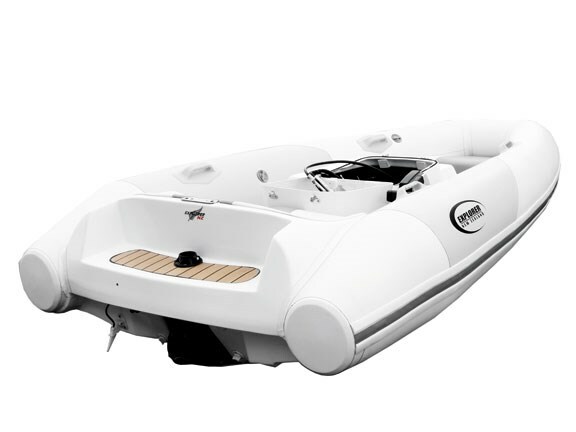 Both have been designed as multi-hedral hulls, producing excellent hydro-dynamic performance with a deep V. This stablises the boat and assists to keep it dry in even rough conditions. A unique benefit of the deep V hull is that Explorer inboard water-jet vessels handle like conventional RIBs, making the inboard water-jet a convenience option rather than a completely different boating concept. The Explorer 2.9m Panther Cub (pictured), featuring a water-jet drive, is especially unique. It was developed because no commercial package was available locally or internationally for the growing number of motor yachts featuring lazarette style lockers, such as the popular Maritimo range. Re-engineering Explorer’s existing models was a challenging task due to the tight confines of the lockers. In many instances, standard "off-the-shelf" parts needed to be replaced with specially designed and engineered equivalents to compress the engine and pump components into such a tiny space. 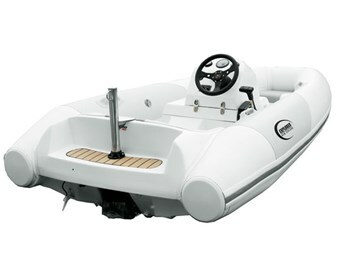 A key feature and essential part of the solution is the folding helm, plus removable steering wheel and ski pole, which reduced the overall height of the craft to 710mm in order to fit the lazerette with the locker lid when closed. The Explorer 2.9m Panther Cub is yet another great example of New Zealand designers thinking outside the square to come up with an excellent and innovative solution for common problems. The Explorer range is definitely worth considering by anyone desiring something different and exciting.